This is Edition 2, in the same tencel/cotton mix, but unwashed. 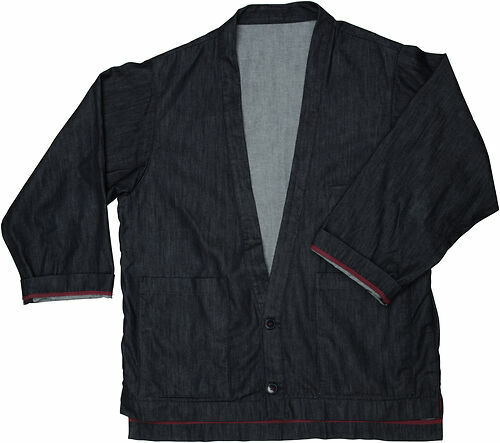 Designed by our friend Fumie to be robust, practical and comfortable, the Niwaki Work Shirt is loose fitting for movement, with three quarter length sleeves, kimono collar and deep, double lined pockets. Wear over a t-shirt or as a light jacket with layers underneath. Tencel is formed from fibres of farmed eucalyptus wood and is a soft, highly breathable fabric that drapes well and feels a lot like well worn denim.